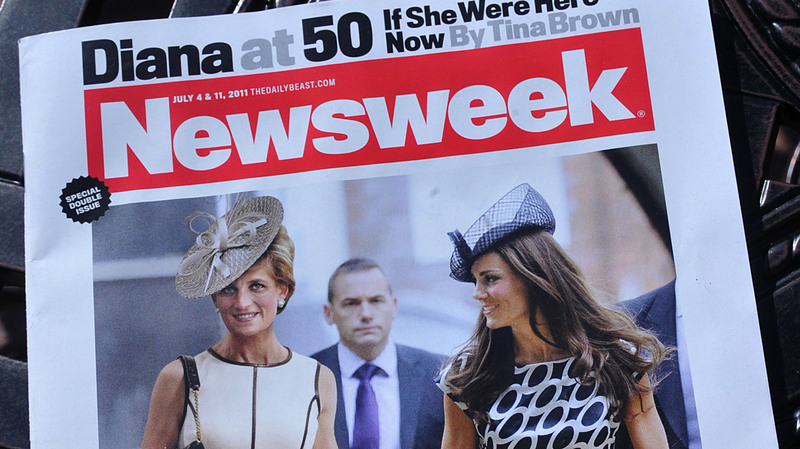 'Newsweek' Kills Its Print Edition : The Two-Way A dwindling subscriber base for the weekly magazine, and growing interest in its online partnership with The Daily Beast, is leading to creation of Newsweek Global, an "all-digital publication." Saying that "we have reached a tipping point at which we can most efficiently and effectively reach our readers in all-digital format," editor Tina Brown announced this morning that Newsweek's Dec. 31 issue will be its last print edition. "Newsweek will expand its rapidly growing tablet and online presence, as well as its successful global partnerships and events business. "Newsweek Global, as the all-digital publication will be named, will be a single, worldwide edition targeted for a highly mobile, opinion-leading audience who want to learn about world events in a sophisticated context. Newsweek Global will be supported by paid subscription and will be available through e-readers for both tablet and the Web, with select content available on The Daily Beast." "Exiting print is an extremely difficult moment for all of us who love the romance of print and the unique weekly camaraderie of those hectic hours before the close on Friday night. But as we head for the 80th anniversary of Newsweek next year we must sustain the journalism that gives the magazine its purpose—and embrace the all-digital future." It was just two years ago that entrepreneur Sidney Harman bought Newsweek from The Washington Post Co. at effectively no cost. It was then merged with The Daily Beast. As news analyst James Fallows told NPR at the time, news magazines "were invented to fill a need that no longer exists — to try to connect readers across the country who didn't have access to good, daily newspapers." Poynter.org notes that "according to Newsweek's most recent publisher's statement filed with the Audit Bureau of Circulations, the company's print circulation has dropped 51 percent since 2007." Meanwhile, according to Brown, "The Daily Beast now attracts more than 15 million unique visitors a month, a 70 percent increase in the past year alone."